Got yourself locked out of your vehicle? No worries. Just call our locksmith and let us handle your car lockout in Woodbridge, Ontario. We move fast and have the tools to open the door of any car. Our techs can unlock trunks to retrieve keys and have the knowledge to replace car keys. Whatever problem led to your lockout, remember that there is an expert locksmith standing by and is ready to assist you 24/7. Get in touch with Woodbridge Locksmith now. Get ready to deal with such mishaps by keeping the number of our locksmith. We provide 24 hour car lockout service in Woodbridge. So our team can be of great assistance should you don’t find your auto keys or there is a problem with your car locks. Let us deal with conflicts, problems, and complications. 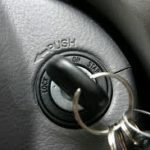 No matter what the reason for your auto lockout, we can handle it in a professional and timely manner. We deal with auto locked doors and lockouts as soon as possible. 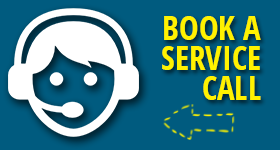 By offering quick car opening service, we make sure of your safety. Sometimes, that’s all it takes to sort out the problem. That’s when you forget the keys inside the car or trunk. But often, the problem starts when the key is missing or won’t unlock the door. We can. All experts from our company are equipped with all necessary tools for effective car lockout services. We will open locked car doors in a jiffy and with great attention. If there is a key related issue, we will handle it on the spot. Our pros are auto key and lock specialists. We are familiar with most makes and models, and have the equipment to program most transponder keys. Whether you only need our pro to unlock the car door or activate your chip key, depend on our quick and professional service. In either case, the time of our response is fast. Our company will provide Woodbridge car lockout service 24/7. Contact our locksmith anytime.